.......53 Buddhas and Me .................My Life Adventures.....: Now that's a Fish!! Today is our last day in Streaky Bay. I have liked it here, it's a nice little village, public spaces are covered in lush, soft grassed areas, the streets, wharf, in fact everywhere is very clean. There are also some beautiful old houses and buildings. 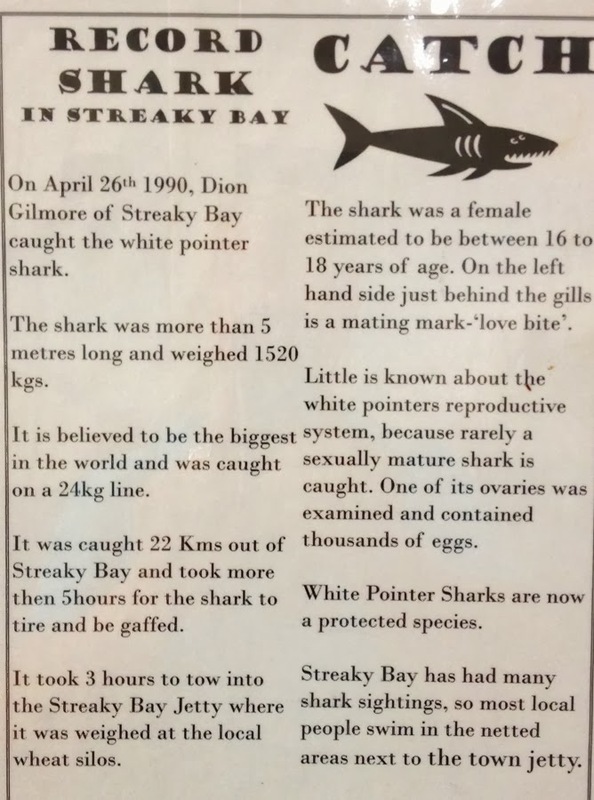 Fishing is very popular in this area but we haven't had any luck, but back on April 26, 1990 a young 21 year old Dion Gilmore did very well on his fishing adventure. 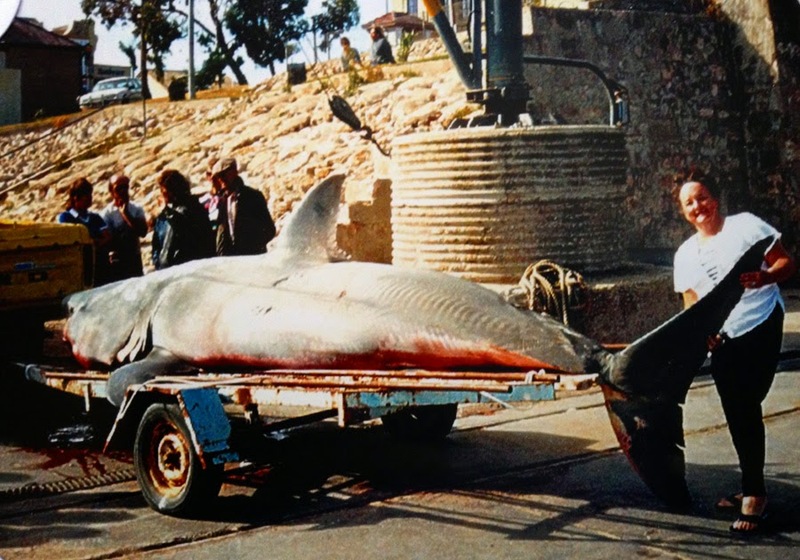 On that day he landed a 1520 kg (3351 pounds), 5 metre (16.4 feet) Great White Pointer Shark! 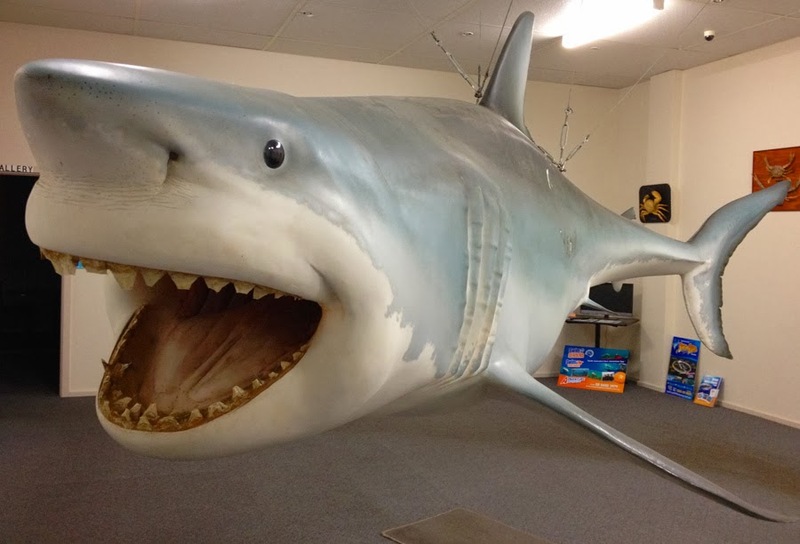 Prior to getting here I had read about the local service station having a replica of the shark on display. 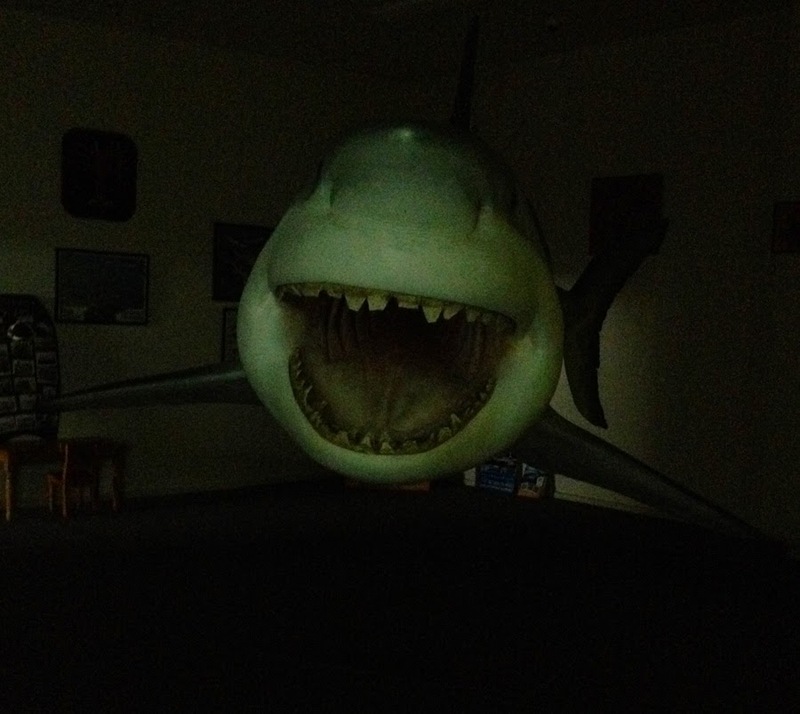 As we entered the room it was located in we almost jumped out of our skin as the lights were out and the great huge mouth and set of teeth was looming in our faces. It is huge, and would be such a hard fish to reel in. Then later in the day I found this photo of the catch on the back of a trailer.